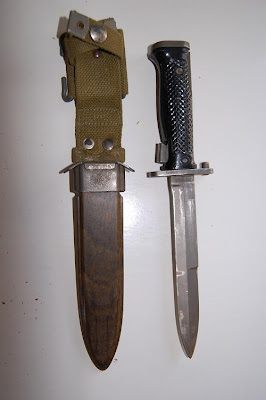 The M5 Bayonet was adopted by the U.S. Military in 1953 to replace other bayonets for the M1 Garand. 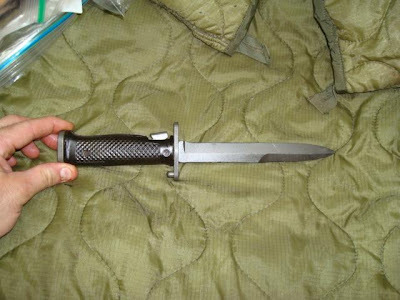 It uses the M8A1 scabbard. 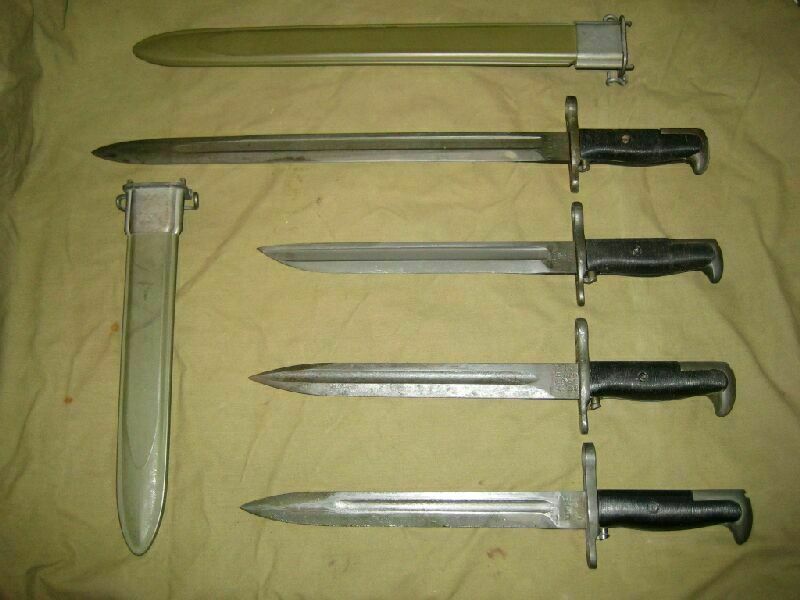 During the Korean War, the M1 bayonet and M1905 bayonet which mount to the M1 Garand, were proven difficult to remove with gloves on. As a result the U.S. M5 Garand bayonet was designed and issued in 1953. 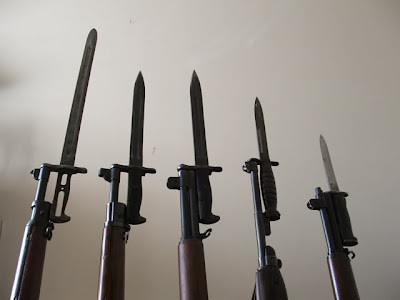 This was a total redesign and looks nothing like the original M1905 or M1 bayonets for the M1 Garand. 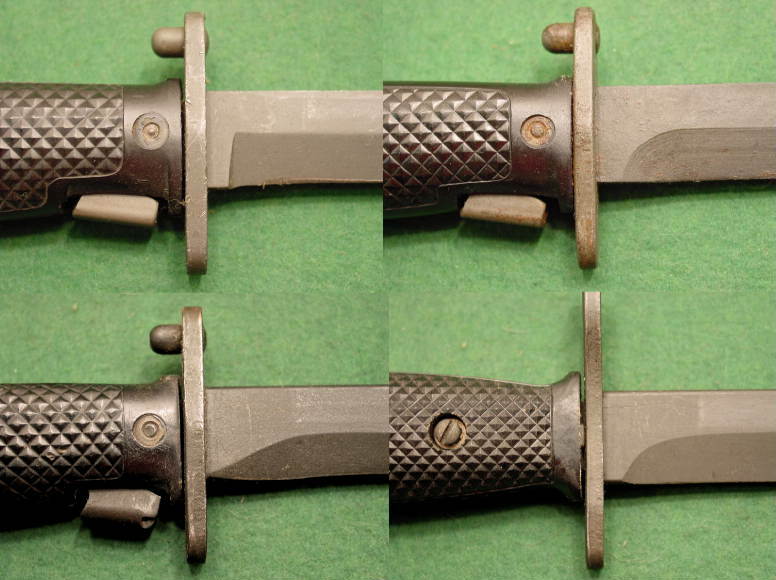 The M5 is the only U.S. bayonet without a barrel mount ring on the crossguard, making it look more like a fighting knife than a bayonet. 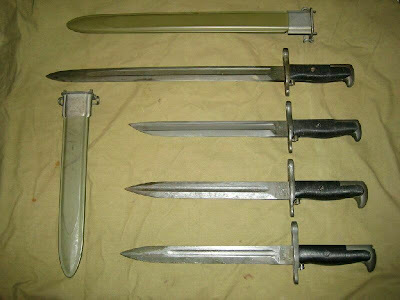 The stud on the bayonet crossguard fits the gas cylinder lock screw under the M-1 Garand barrel. 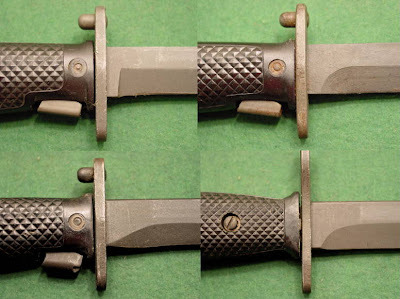 Locking grooves attach to the bayonet lug on the rifle. 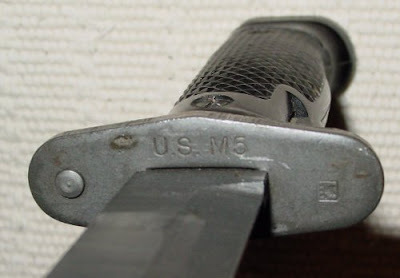 The M5 fits only the M-1 Garand and does not interchange with any other firearms.